Adult and high school volunteers needed to hand out maps, give directions and answer questions at an information table at the front of Lithia Park. Flexible shifts available June through August. Quick, easy training provided. High school students will earn community service hours. For more information contact Lori Ainsworth at 541.552.2264 or by email. 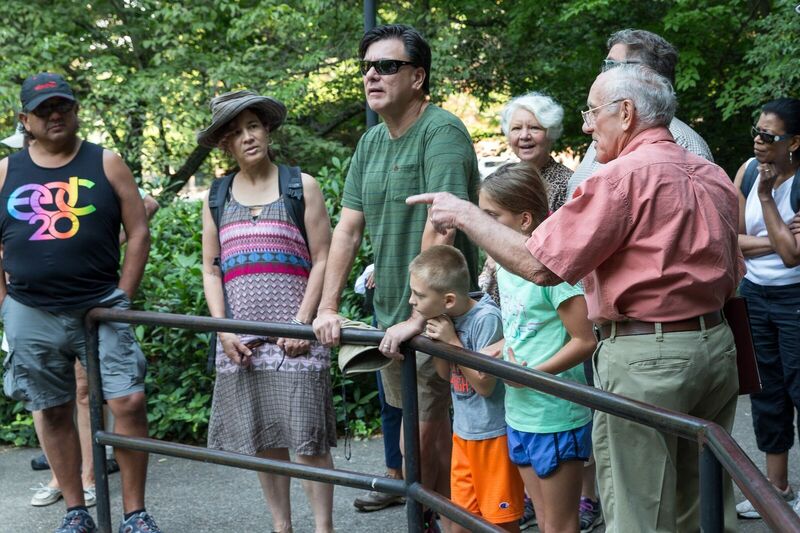 If you love Lithia Park and chatting with people, become a Lithia Park Guide. Volunteers lead 90-minute walks detailing the history, flora and fauna of Lithia Park. Training required and provided. Flexible shifts available May through September. For more information contact Lori Ainsworth at 541.552.2264 or by email. The Food & Friends Program at the Ashland Senior Center needs volunteers. Two to four hour shifts are available, Monday through Friday. This is a great way to interact with seniors and give back to the community! If you're interested, please contact Lori Ainsworth at 541.552.2264 or by email. Gardeners are always needed at the North Mountain Park Nature Center Demonstration Gardens. Have fun gardening in a group on Wednesday mornings or come out on your own. Tools and friendly training provided. To learn more about the many volunteer options, click here. VIP – Volunteer in Parks, "It’s the Natural Thing to Do!" Visit the Ashland Parks & Recreation home page.